Tax reform has garnered much debate during this legislative session with Governor Reynolds and Republicans in the legislature making tax reform a priority. The legislature is currently debating three proposals offered by Governor Kim Reynolds, Senate Republicans, and House Republicans. 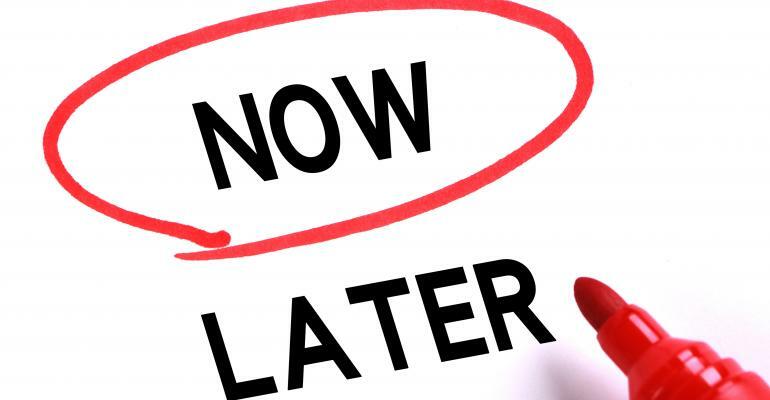 However, the session is almost over, and delivery of real tax relief is not guaranteed. The Iowa legislature should not delay tax reform; it is imperative that legislators work together to pass a pro-growth tax bill. Iowa has a historic opportunity to build upon the economic growth created by federal tax reform. The passage of the Tax Cuts and Jobs Act and President Donald Trump unshackling the economy from burdensome regulations is creating economic growth across the nation. This is resulting in lower unemployment and businesses are optimistic about the economy. The National Federation of Independent Businesses (NFIB) recently reported that the small business optimism index was at a 16th month high. Iowa suffers from high tax rates and a complex tax code that needs to be reformed. By lowering tax rates, the Iowa legislature can build upon the economic impact of federal tax reform and encourage further economic growth in Iowa, making our state more competitive. Opponents of tax reform argue Iowa cannot afford tax cuts and any tax reform will result in a budget crisis similar to Kansas. Others have offered an argument that tax reform should be delayed. Delaying tax reform in Iowa would be a mistake. Iowa will see additional revenues because of the federal tax cuts, but that money should be returned to taxpayers and not used for future spending. 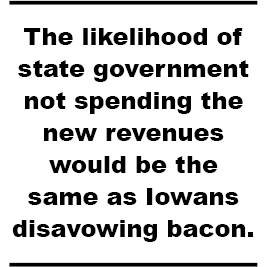 Even if the legislature delayed tax reform, the likelihood of state government not spending the new revenues would be the same as Iowans disavowing bacon. Legislators can also avoid harm to the budget by following the example of North Carolina. Since 2013, an economic policy agenda of reducing tax rates, regulations, and controlling the growth of spending has been advanced in North Carolina. North Carolina has proven that a state can lower tax rates without creating a budget crisis. Pro-growth policies have created a stronger economy, provided more opportunities, and ushered in fiscal stability. North Carolina is also funding the priorities of government. Iowa should take note of the lesson Connecticut has learned; higher taxes and more spending does not bring about better government. Connecticut has raised taxes at least three times, and they are still in a fiscal crisis. History is filled with examples from both the federal and state level that governments cannot tax and spend their way to prosperity. Iowa can avoid the mistakes of states such as Kansas by following North Carolina’s example of restraining the growth of spending. Iowa policymakers should not be afraid of enacting meaningful tax reform. Pro-growth tax reform will lower both the individual and corporate tax rates and reform and eliminate Iowa’s complex system of tax credits. By lowering rates Iowa will become more competitive and the subsequent economic growth will create opportunities for all Iowans. High tax rates are not just harmful to economic growth, but they also hinder investment and opportunity. Delaying tax reform would be a setback for Iowa’s taxpayers and our economy. By lowering tax rates and controlling spending, Iowa will not only create a stronger economy with more opportunities, but also provide for the priorities of state government.